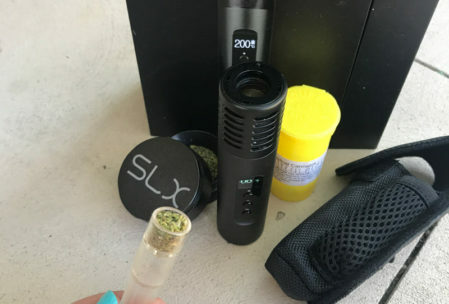 The SLX nonstick grinder is better than your average dry herb grinder. 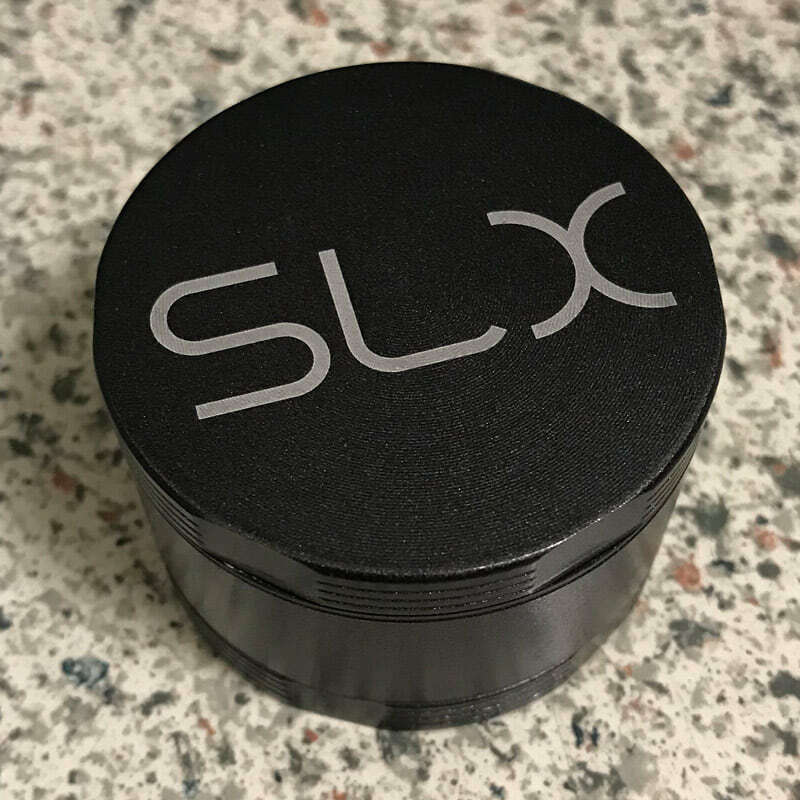 The SLX grinder is a 4-piece grinder that uses a patented ceramic coating which significantly reduces friction for an effortless grind. 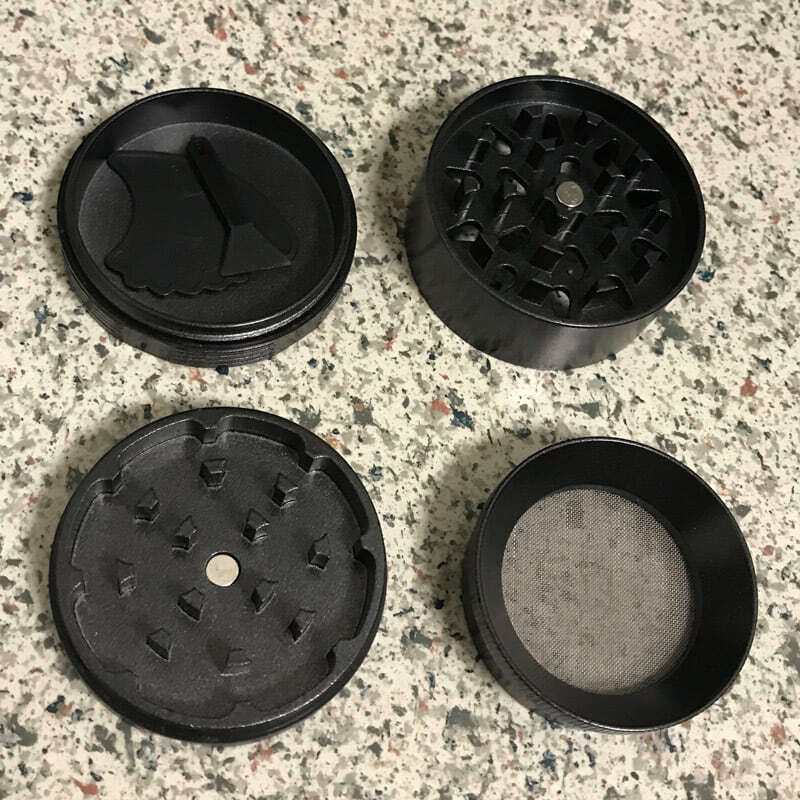 The unique coating prevents the grinder and its threads from becoming a sticky mess so its always hassle free. The body of the grinder is made out of 7075 T6 aluminum which is higher-quality metal than series 6 aluminum that is used for most grinders. The nonstick coating is made from a ceramic material that’s non-teflon based and will not leech off into your flower. The SLX is 100% FDA approved and is safe to use. 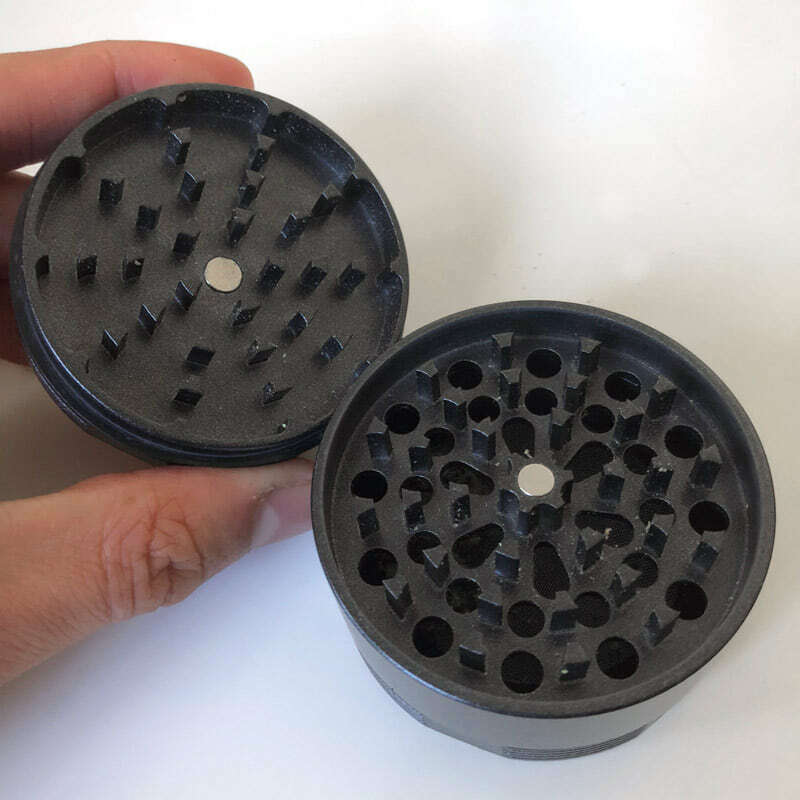 The magnetic lid includes 55 razor sharp teeth that fine grind your herb. 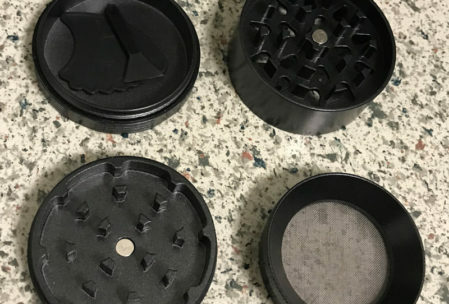 The nonstick coating allows you to effortlessly shred your cannabis flowers into fine pieces with very little friction. 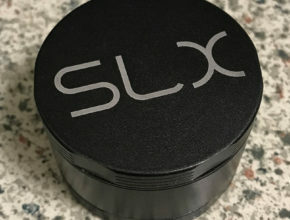 Besides the ceramic coating, what also makes the SLX grinder awesome is the fact that it only has one set of threads. 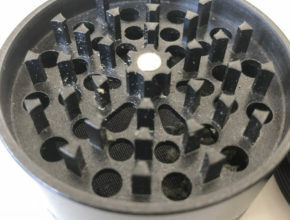 The middle piece of the grinder that houses the lower teeth is threaded and screws into the bottom/pollen catcher piece of the grinder. In between the two pieces is the screen which catches the ground herb. This piece is not threaded and is easily removable to expose the pollen/kief collected below. 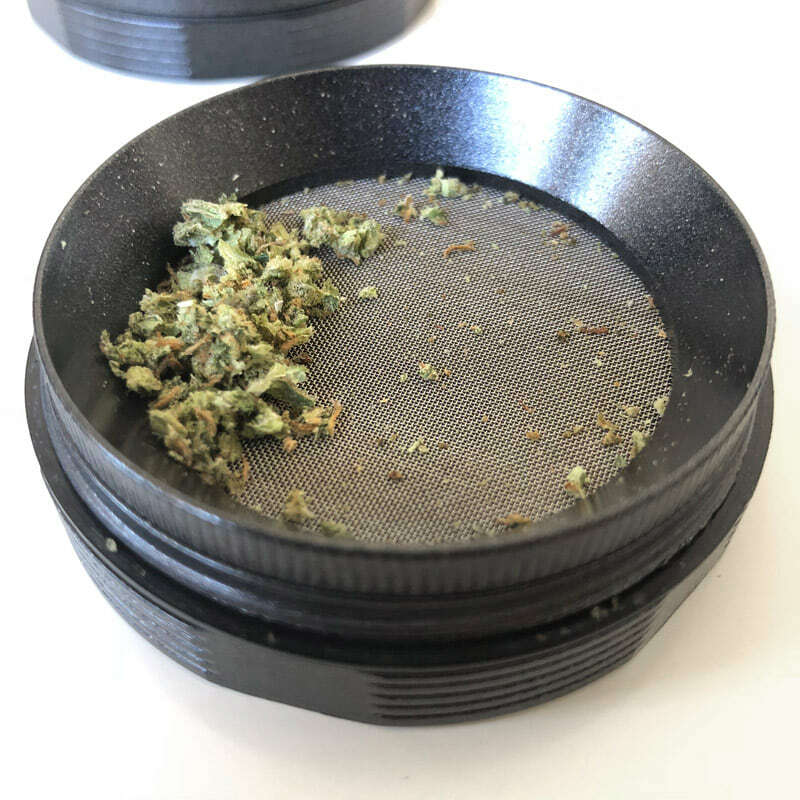 We have been using this grinder for over three weeks and can say without a doubt that it is one of the best grinders that we have ever used. 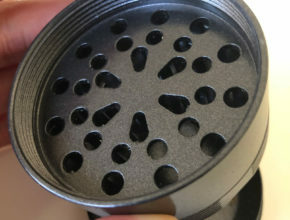 It made for an excellent grind when did our review of the Arizer Air II vape. 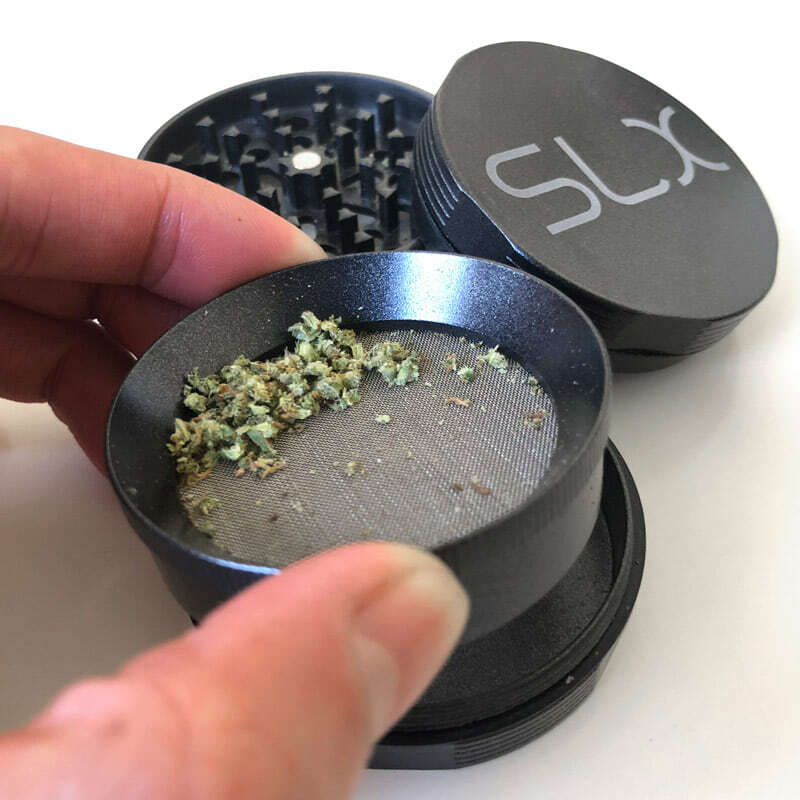 While other grinders get sticky over time and require a firm grip to turn the grinder, the SLX Grinder consistently provides an effortless grind. 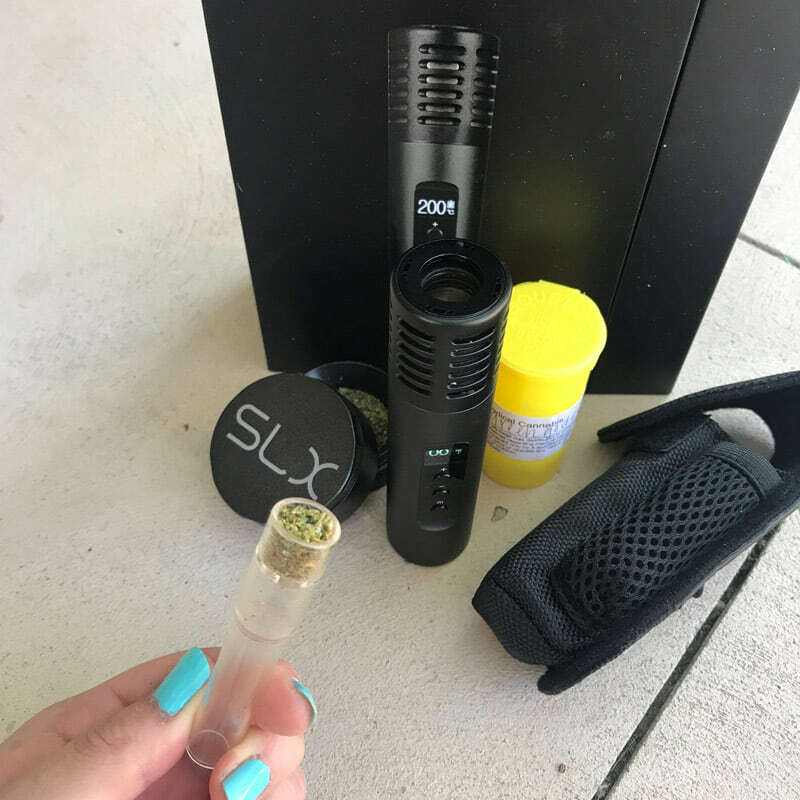 In using the SLX nonstick grinder, we noticed that the herb comes out fluffy and the grind is quite fine, ready to be used in any form – packing a bowl, loading a dry herb vaporizer or rolling up some papers. 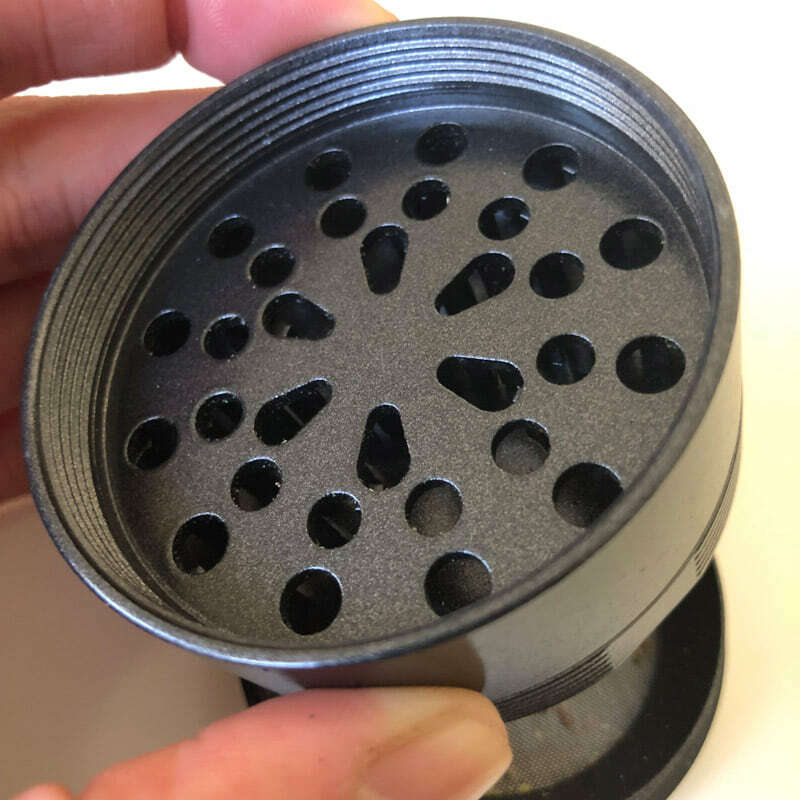 In comparison with standard metal and plastic grinders, we noticed that the nonstick coating of the SLX grinder also helps to retain the flavor of the herb you are grinding. 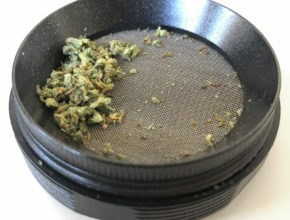 The flavor is retained because the herb you put into the grinder will be the herb you get out of the grinder. 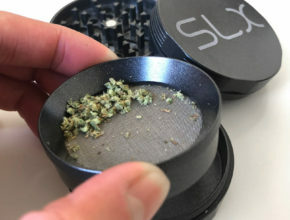 Unlike most grinders, there’s always resin and remnants from any previously ground flower, but not with the SLX. Although the SLX can be considered a bit pricy, we do believe that it is well worth it. 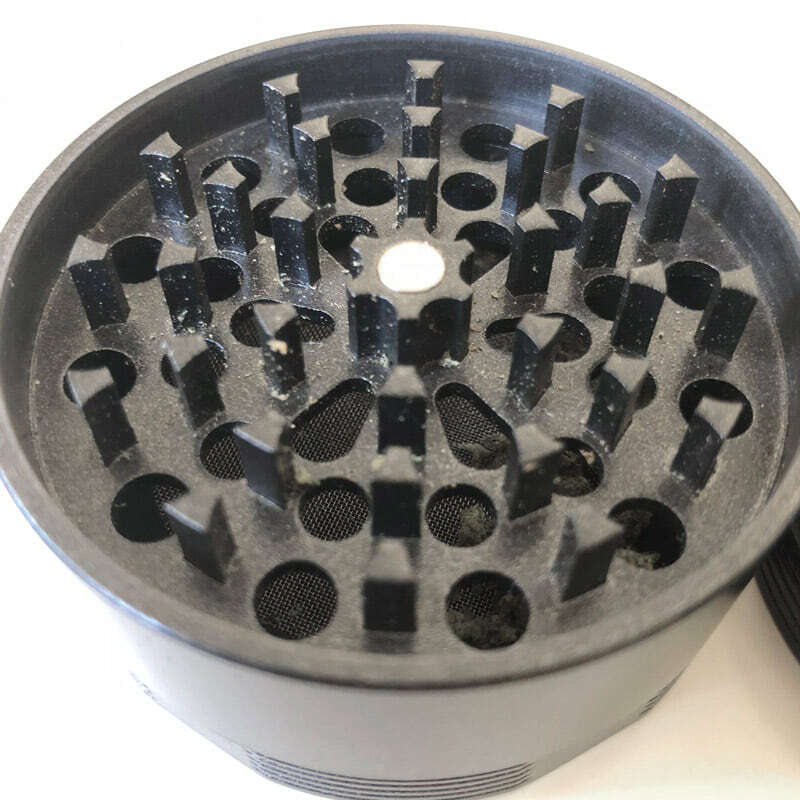 We are thoroughly impressed with this herb grinder and are confident that you will be too. 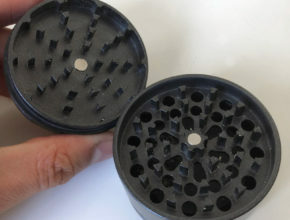 The SLX Grinder is available for $30-60 at many online retailers including Amazon. Available in two different sizes (2.4″ or 2″) and seven different colors.